Improve operational efficiency and achieve your cost-cutting targets with Rete's managed IT services that allow you to focus on your core business while our experts manage your IT infrastructure. Downtimes are costly. Rete Consulting provides you a way to improve your website's uptime with its highly secure and reliable email and web hosting services. Ensure optimum utilization and maintenance of your storage and computing resources with Rete's managed IT services. 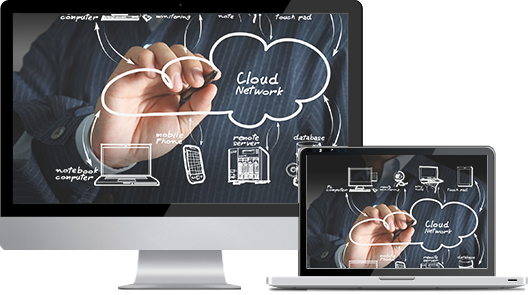 We assume full responsibility of managing your technological assets and promise you a high return on your IT investment. Rete Consulting helps businesses make smart investment decisions by helping them visualize how adopting a specific technology will add to the efficiency and productivity of their processes. We specialize in technology planning and have helped several businesses extract greater value from their investment. Whether you're looking for a trusted hosting provider for your feature-rich ecommerce website or you want a customized email hosting solution for your company, Rete provides you reliable, secure, scalable, and high-performance email and web hosting solutions for the most demanding web applications. At Rete Consulting, we understand the fact that a robust and reliable communication network is vital to your business's productivity; therefore, we provide you with the latest in communication technology to keep your networks humming at optimum speed. With access to the latest technology and expertise of seasoned IT professionals, Rete Consulting provides its clients with best-in-class IT solutions that are proven to become a business's competitive advantage. Whether you're looking for an IT company that can assist you with a big project or you're looking to build a long-term, professional relation with a trusted managed IT services provider in Pflugerville, Rete Consulting is the IT company that has the right solution for all your IT-related needs. Managing and protecting an IT infrastructure is an overwhelming, resource-intensive task that may cause you to lose focus from your core objective. Being the preferred IT company in Pflugerville, Rete Consulting provides a viable solution to this problem in the form of our managed IT services. From small upgrades to complete IT overhaul, with our managed IT services, we take care of all your IT-related needs regardless of their complexity. To learn more about how we can help you overcome your IT challenges, please call us at (512) 596-5001.